The Hilo High Viking Band has been active in the community since the beginning of the school year. We hope you have had a chance to see them in action. More chances coming up so stay tuned to our website for updates! 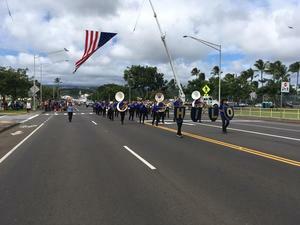 The sound of a marching band approaching in a Hilo Parade makes everyone perk up and wonder which band is on the way. Parents and children alike look for their relatives and friends and wave or snap photos as they walk by. 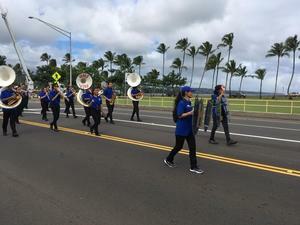 Hilo High School Band is usually one of the groups, marching proudly in their Blue and Gold uniforms and playing their musical selections. 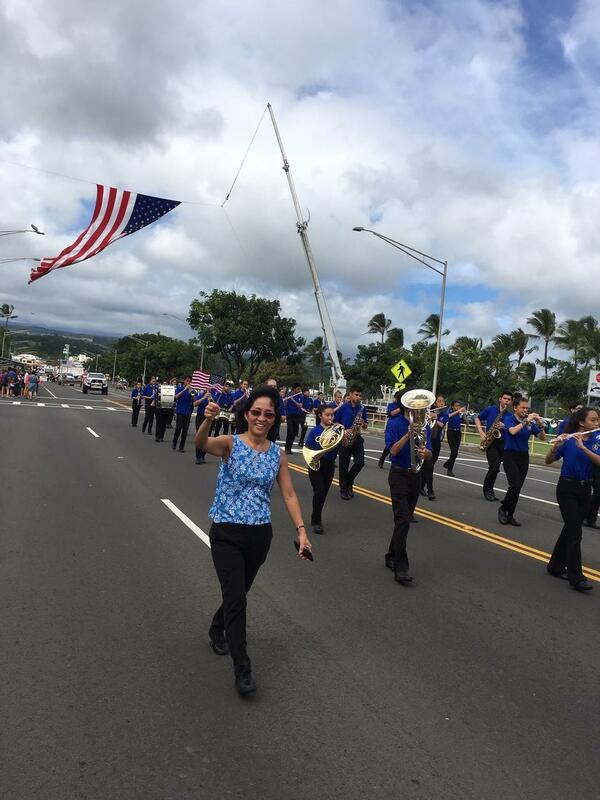 Most recently, the Band participated in the Hilo Downtown Christmas Parade on Saturday, November 24th. 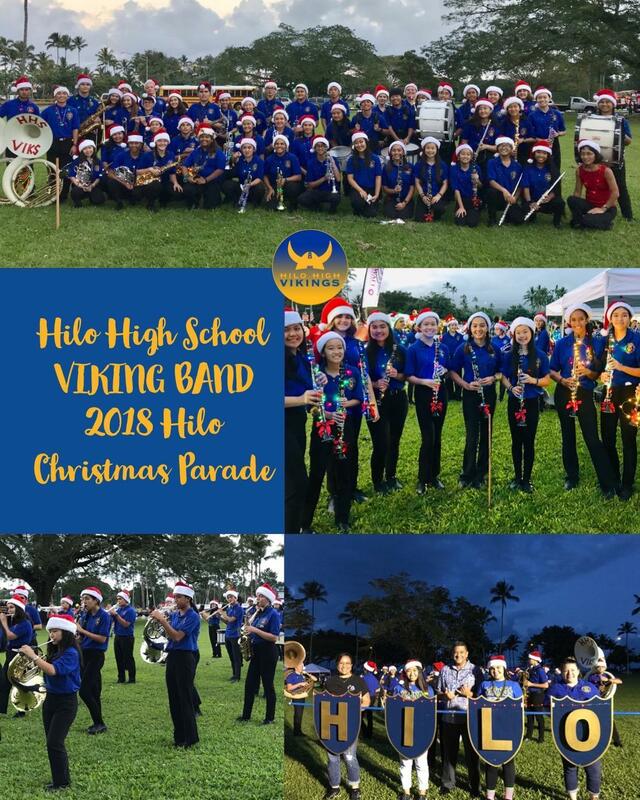 Complete with holiday flashing lights and braving the drizzling rain, the Vikings entertained the many families who lined the streets of Hilo Town. Prior to that, students played for the Veteran's Day Parade, held in Hilo, on November 10th. 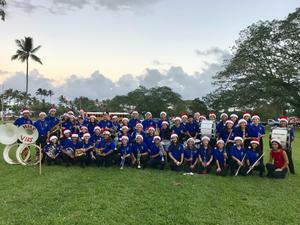 The Annual Hilo Complex Band Concert is coming soon. It will be held on Wednesday, December 12, 2018 beginning at 6:30pm at the school auditorium. More information will be shared soon. We hope to see you there!